National business-consulting expert Mike Agugliaro will present strategies for home-service business professionals to improve their business growth and performance at Comfortech 2015, the national HVACR, hydronics and plumbing conference in St. Louis Sept. 15-17. Agugliaro has spent his career breaking business barriers and investing in expansion methods that work. As the co-founder of Gold Medal Service —one of New Jersey’s largest and most respected home-service companies— Agugliaro fine-tuned his management methods to turn the company into a more than $23-million-business in less than 10 years. Also the founder of CEO Warrior – formerly ServiceKey – a national business consulting and mentoring company, Agugliaro specializes in providing tested and proven methods to help service businesses achieve their ultimate success. During his presentation, “Business Game Changers,” on Sept. 15, Agugliaro will share his top five secret strategies for massive business growth. His Sept. 16 session, “Unlocking the Secrets of Business Mastery,” will highlight ways to overcome business roadblocks – from revenue issues to hiring barriers. During Comfortech 2015, more than 2,000 owners and managers of home-service businesses from across the country are expected to come together to explore the latest products, trends and business solutions. To learn more about Comfortech 2015, visit comfortechshow.com. 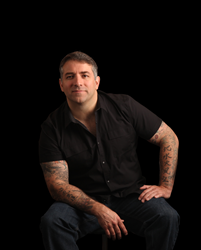 For more information about Mike Agugliaro, visit CEOWARRIOR.com.